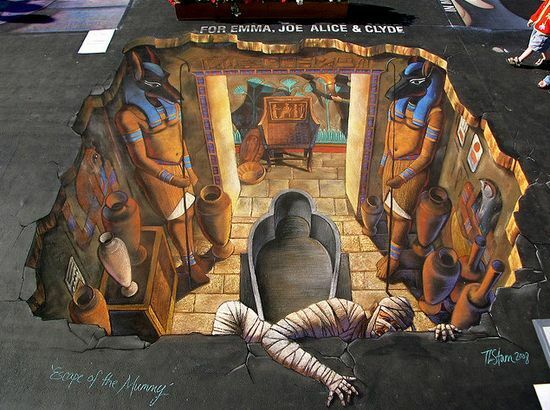 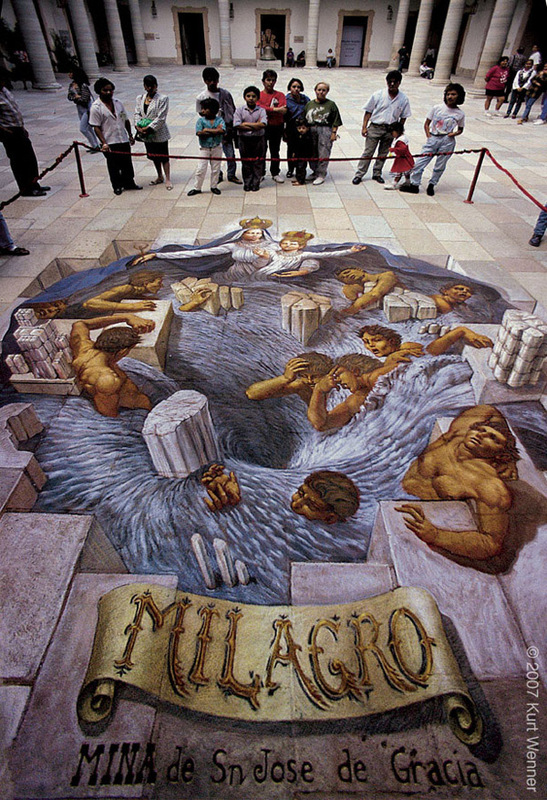 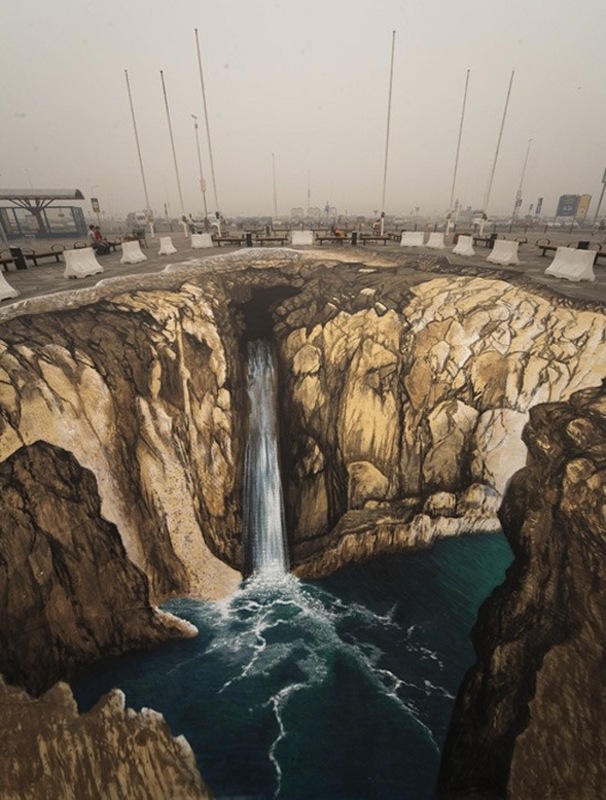 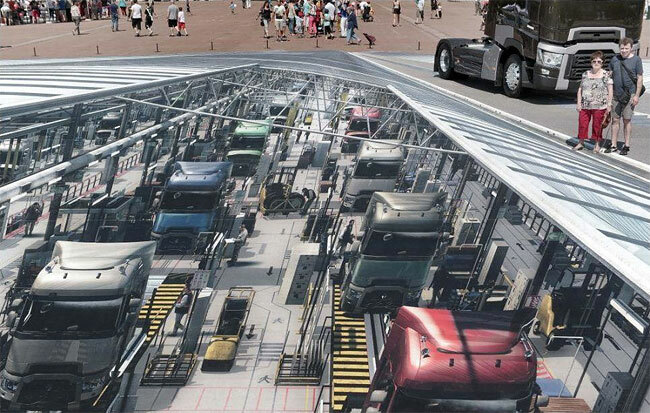 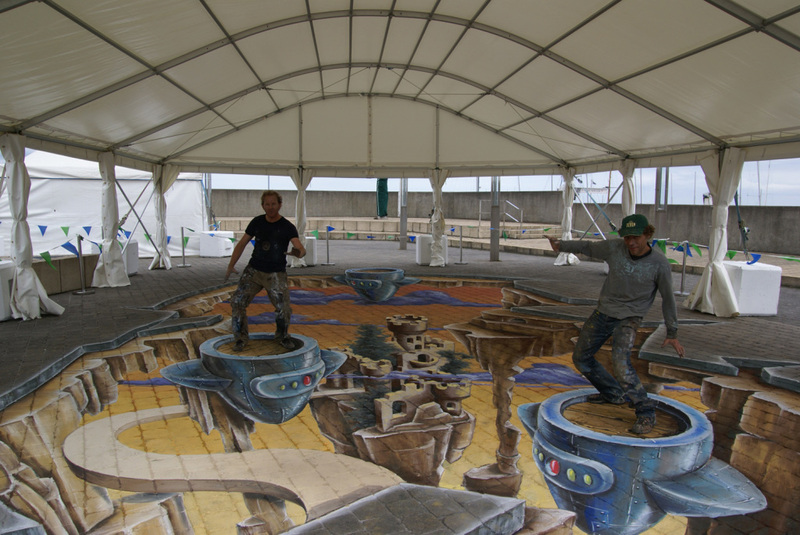 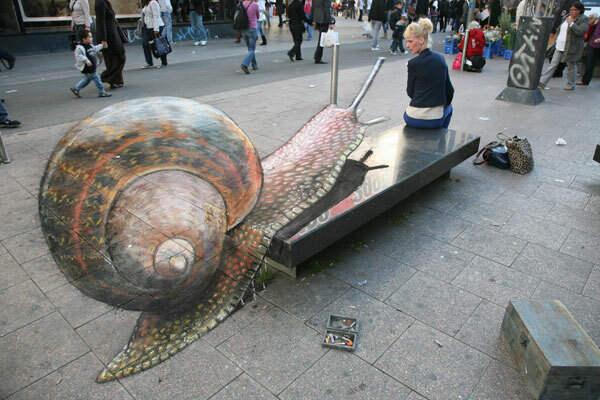 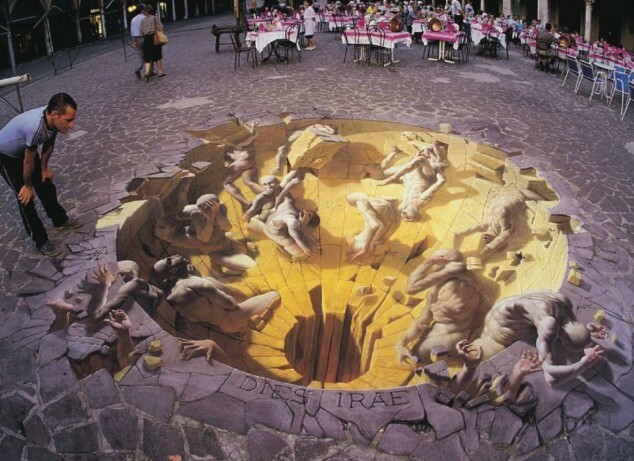 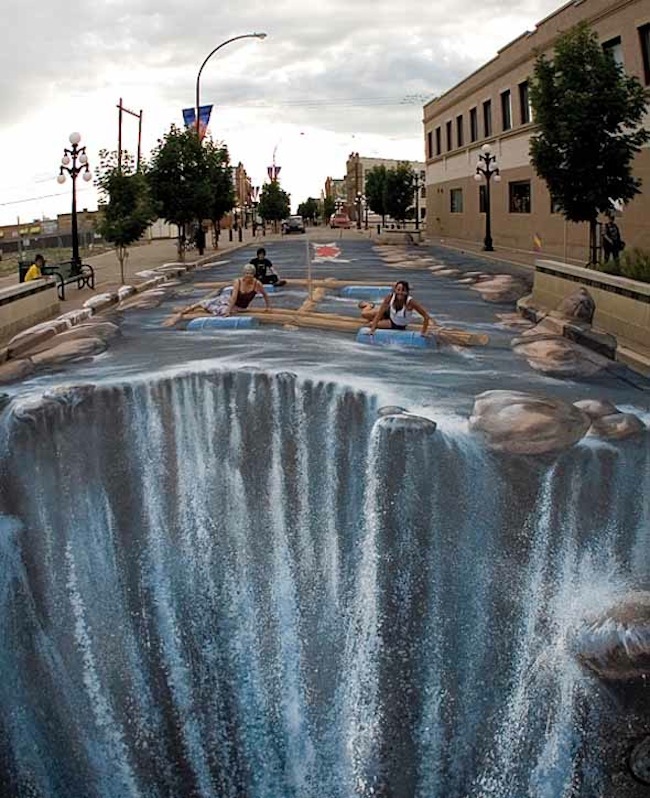 3d Street Art, often known as 3d chalk art is 2-dimensional artwork drawn on the street itself that gives you a 3-dimensional optical illusion from a certain angle. 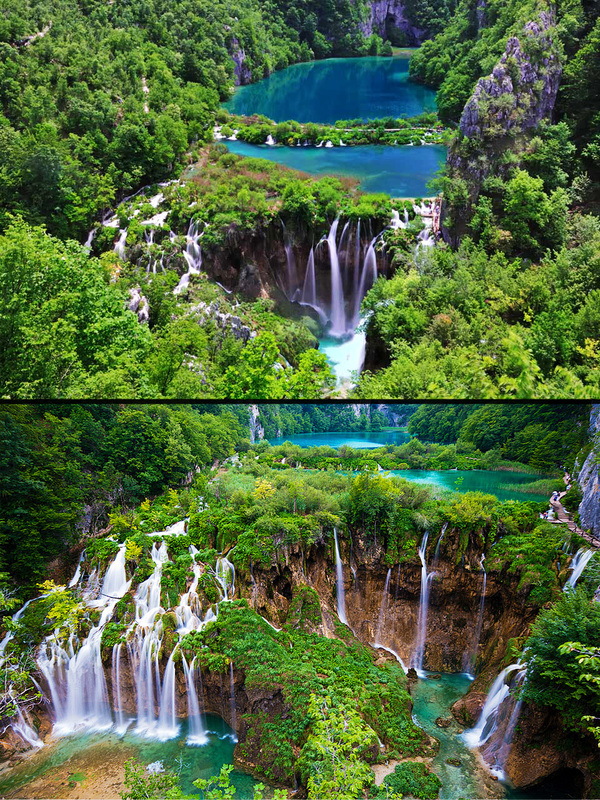 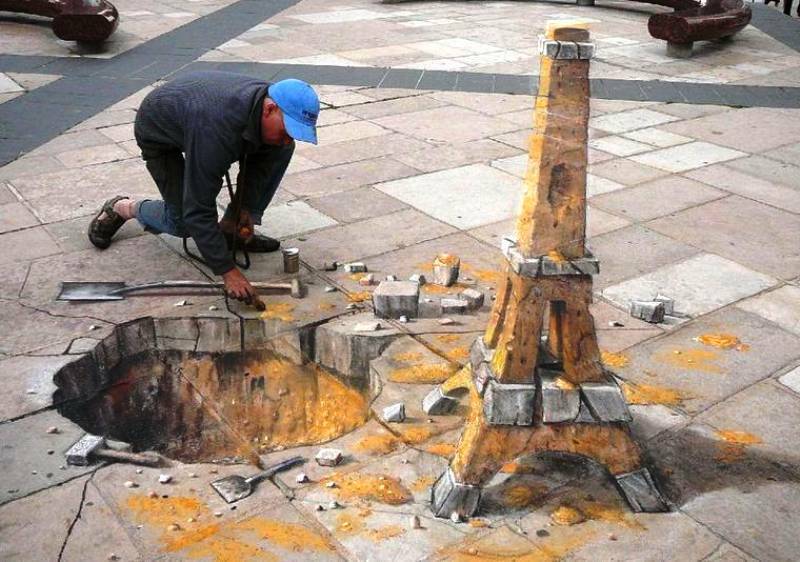 It can be very breathtaking, realistic and at the same time captivating, once you get the angle correct. 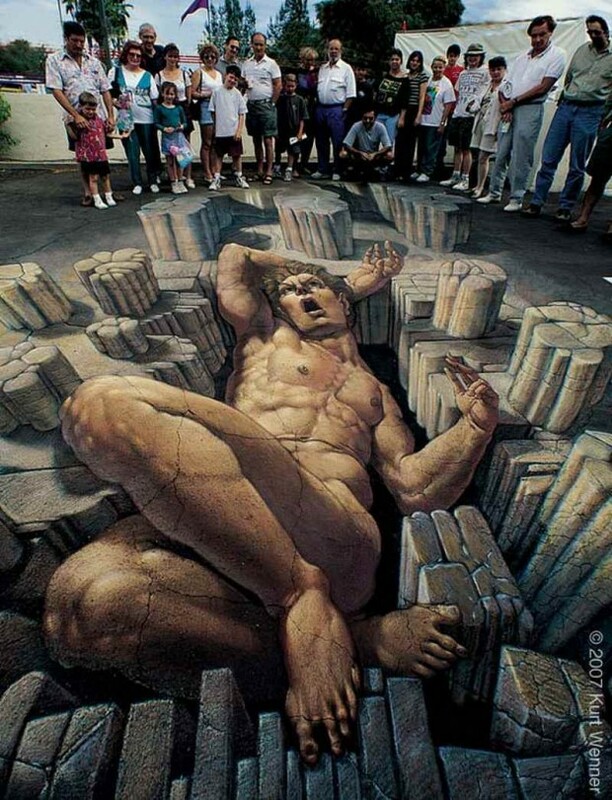 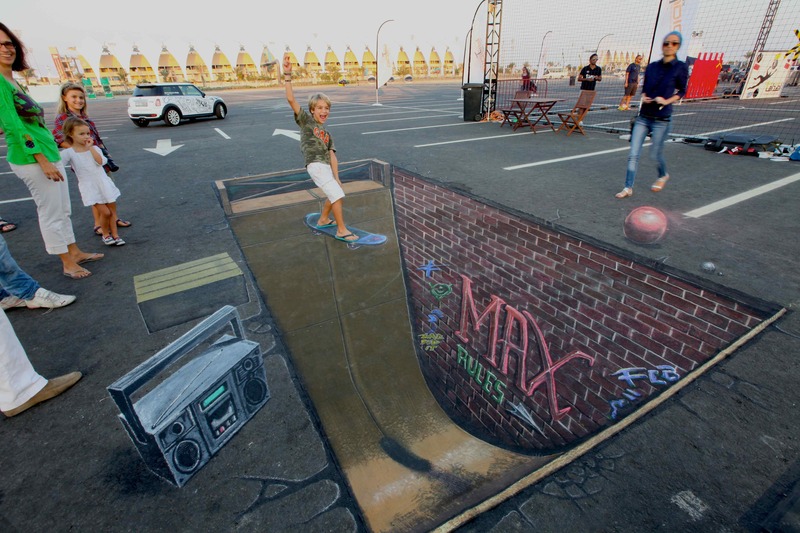 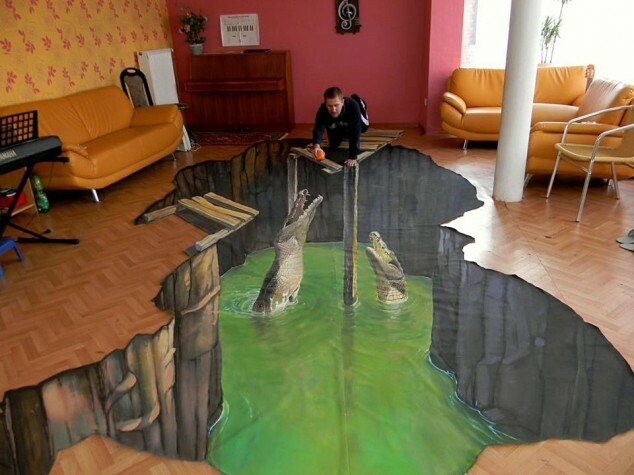 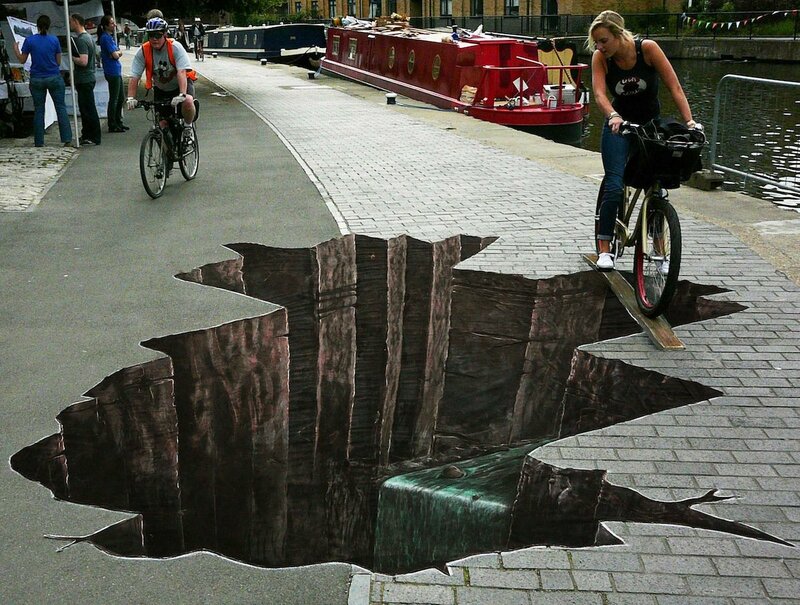 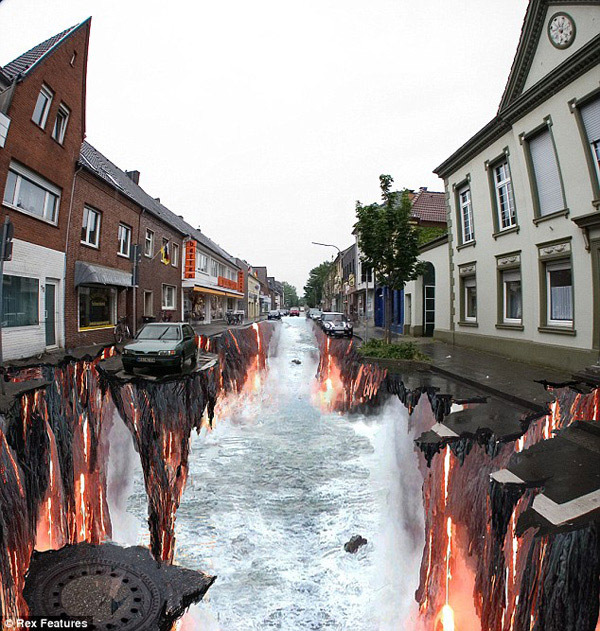 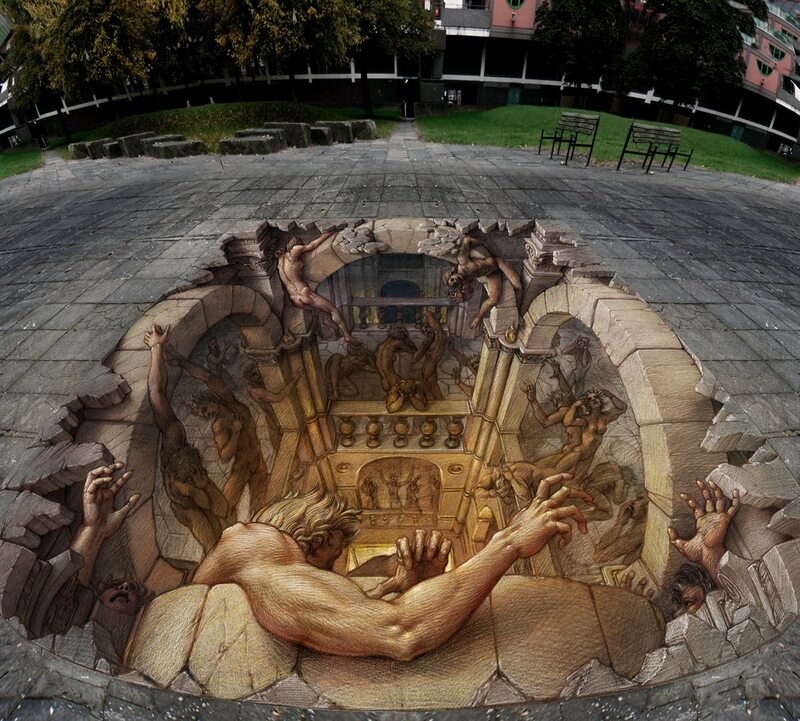 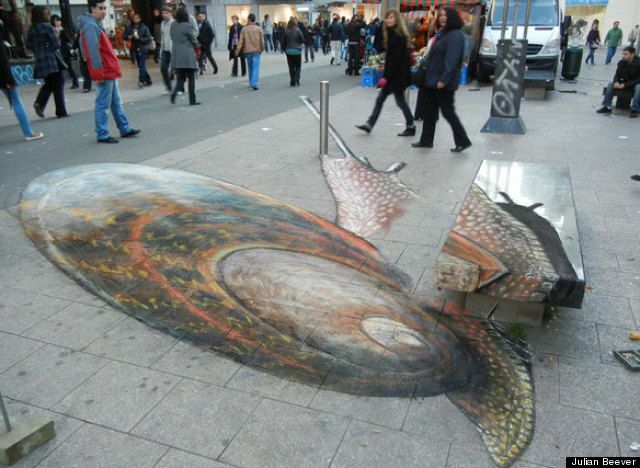 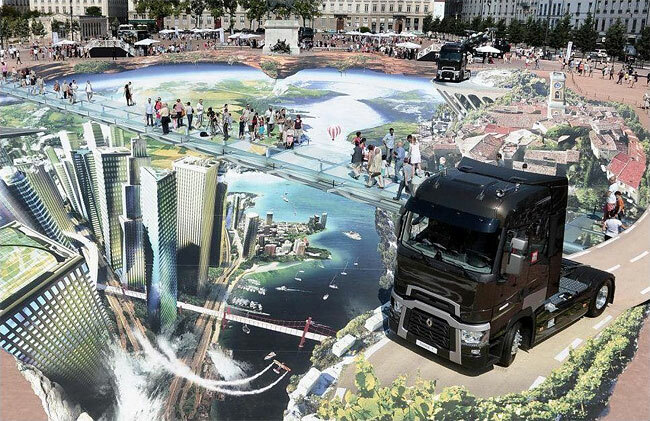 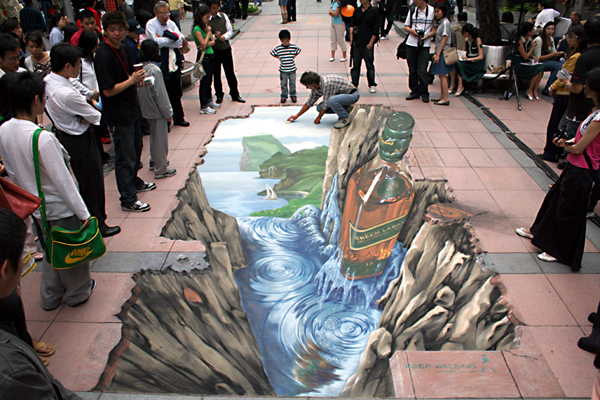 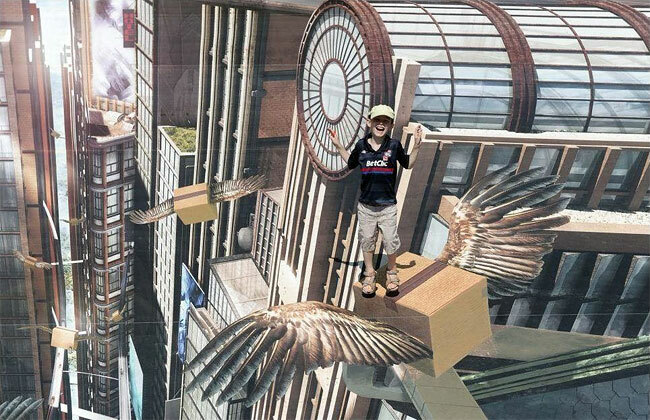 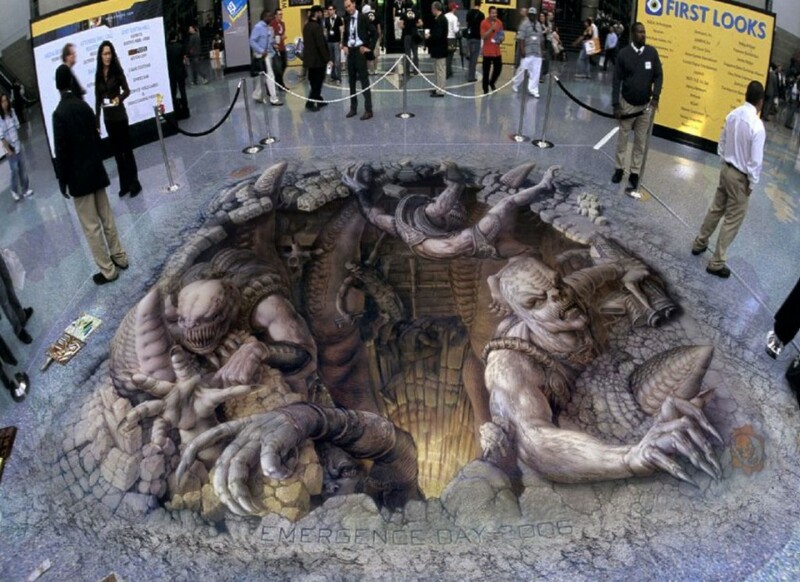 3D street art has been around for quite some time now. 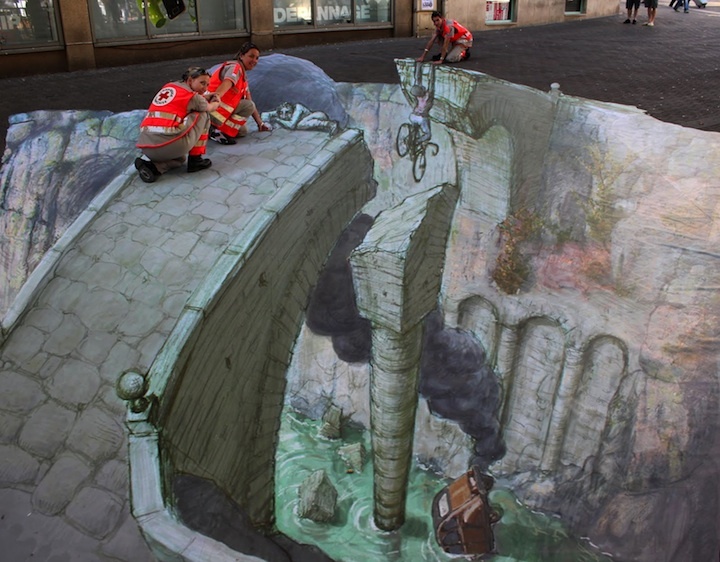 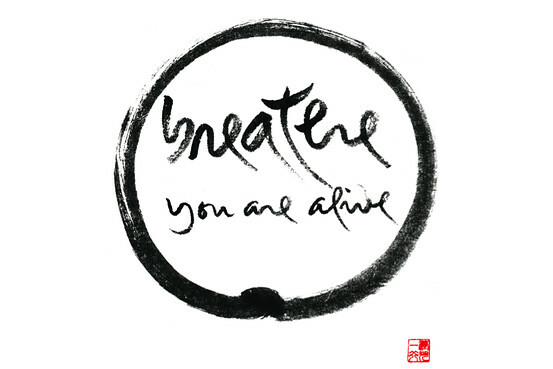 Actually it’s stretching as much as a couple of hundred years back in time. 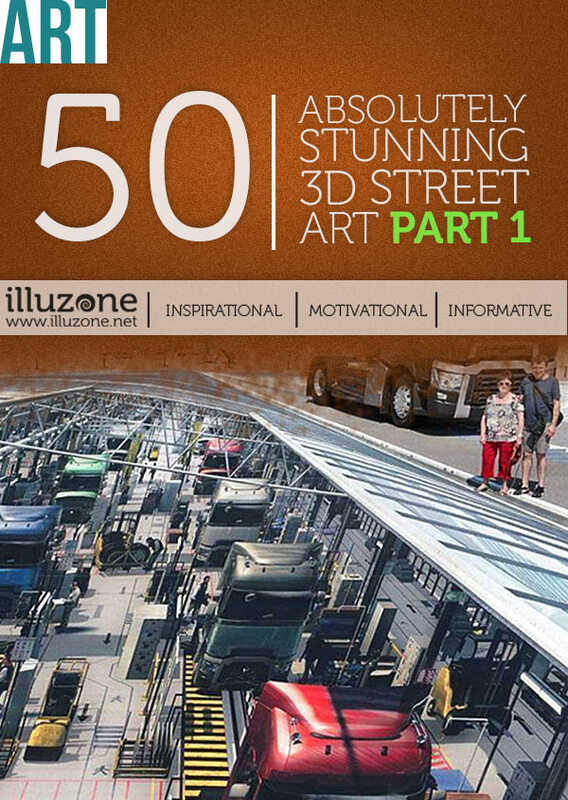 Because of the lengthy time it has been around the artworks created today are of course a lot more better than what was considered good 3D art back then. 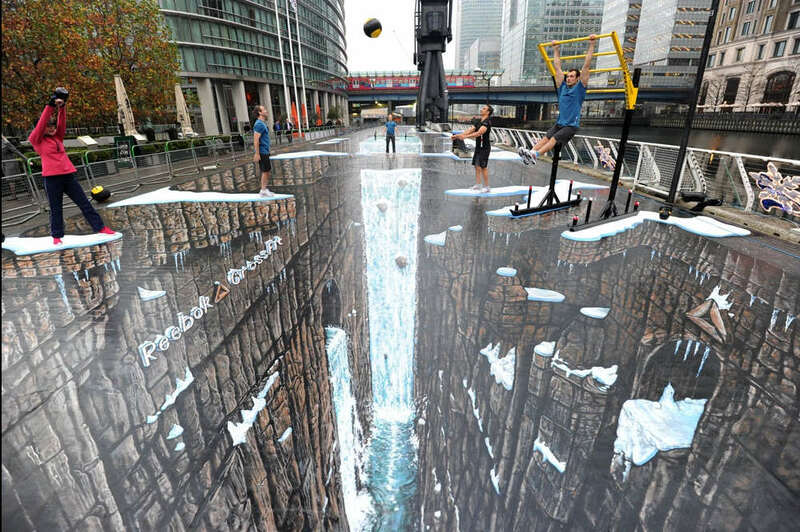 3D street art is not really 3D. 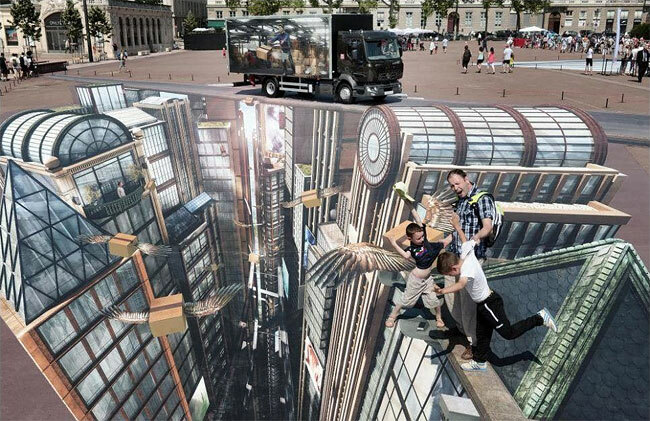 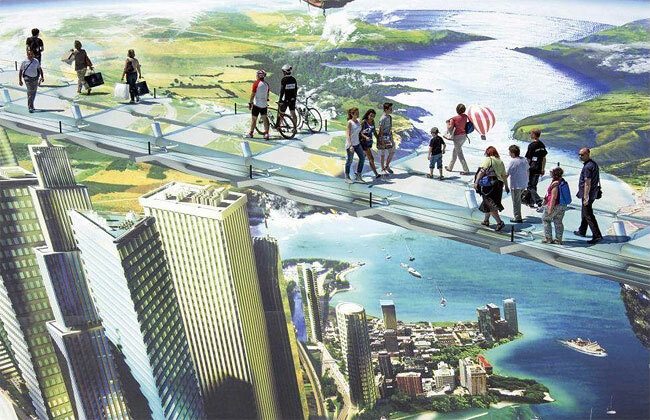 Instead, the artwork is done in 2D, creating an illusion only possible to see from a specific angle, and as soon as you look at it from a different angle, it disappears, leaving only a lot of clutter.